About Us | Metal Web | UK metals stockholder and processor. metalweb deliver long-term tangible benefits which enable our customers to compete in today’s challenging global market place. metalweb was established in 2001 as a buy-out from a previous stockholding company (‘Apollo Metals’). It has successfully grown by focusing on serving customers across a range of high technology industries. One of metalweb’s key strengths is its people, with many colleagues having been with the company from the beginning. This provides our customers with the benefit of a wealth of experience and industry knowledge. Although metalweb’s origins are in aluminium, as part of the Reliance group, metalweb now stock and have direct access to a wide range of other materials, including steels, titanium, nickel alloys and copper alloys. Notably this range includes many AMS specifications which are now held in-stock either at a metalweb location in the UK or at one of the global Reliance locations. 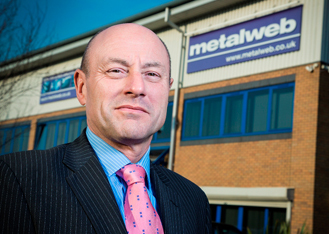 Karl Weston is Managing Director having joined Metalweb at the start of 2016. Prior to Metalweb, Karl ran his own management consultancy business in the marine sector and worked extensively in the Middle East. This role followed 30 years experience in the metal distribution business. 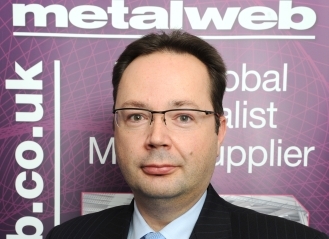 Steve Webb is Purchasing Director and joined the Metalweb team back in 2003. Steve leads the purchasing team and is based at the Metalweb Head Office in Birmingham. Steve and his team are responsible for the purchasing of material for all Metalweb locations. 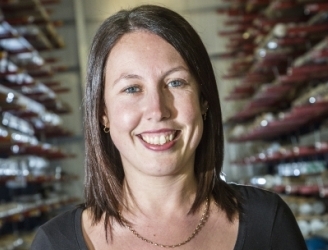 Kerry joined Metalweb as Financial Controller in 2008 from Auditors Baker Tilly, where she qualified as a Chartered Accountant. Kerry was promoted to Financial Director and now heads up the Finance, Human Resource, IT and Quality and Health and Safety functions.